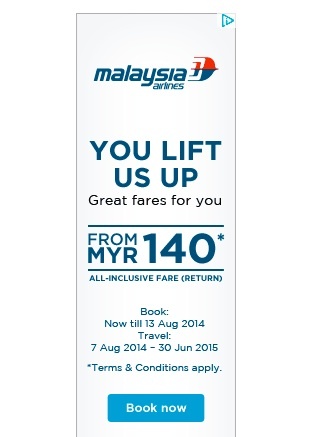 Has the Malaysia Airlines marketing department lost the plot? I was shocked to see this ad appear on my Facebook page this morning. Is anyone in control of marketing at Malaysia Airlines at the moment or has the transition to the new company already started? At the same time as the world’s media is showing terribly sad but dignified video and images of the crew of MH17 returning to Malaysia in flag draped coffins, the airline’s marketing department launches an advertising campaign with a grammatically incorrect tagline telling us flying with Malaysia Airlines is fun. Are they mad? Does the marketing team really think they can convince us that the experience of flying MAS is going to be fun? Should they be trying to do that? 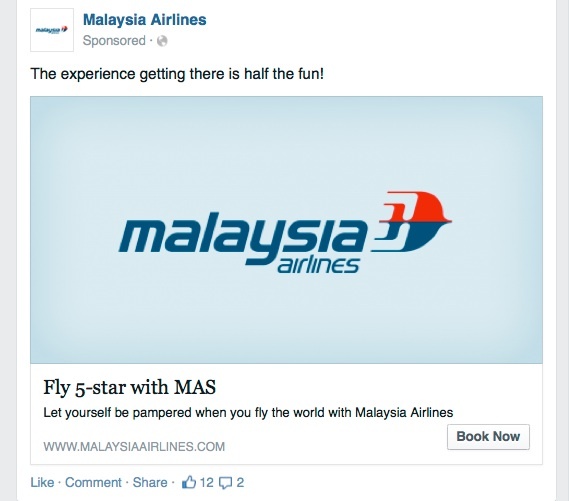 Do they think they can change global perceptions of MAS with a grammatically incorrect tagline? Actually they are not trying to change perceptions, they are trying to change reality, with ads! Not only is it offensive, it is ignorant and they really should know better. This is the second poorly conceived tactical ad MAS has released online in the last month and it smacks of desperation. There is enormous pressure on the management at MAS but they need to get their act together and start rebuilding the brand and not simply throw out poorly thought out tactical ads or what I can only assume are seen as quick fix solutions. The rebuilding of the brand will start by rebuilding trust and faith in the brand but not with this rubbish. Last year, when JWT India created an offensive ad featuring Silvio Berlusconi in a Ford Figo with girls bound, gagged and crying in the boot of his car JWT fired the executives responsible and Ford apologized. MAS doesn’t need to apologise but the management must reevaluate their marketing team and their ad agency needs to fire the clowns who created this nonsense. Then the managment needs to understand that rebuilding the reputation of the brand is a strategic initiative and not a tacticial one. And the CEO needs to have his finger on the brand pulse otherwise this sort of incompetence will continue and there will be a further erosion in the brand’s reputation. Totally agree with you. I posted on your blog a while ago, having worked directly on the team that revamped the identity. Even back then I could see that MAS need a change management solution inclusive with the brand refreshment. My exact words after walking out of meeting was, “This needs to be privatised.” Now unfortunately, it’s been through a series of tragedies that have forced the brand to near extinction that the right move has finally been made, though with your example shown above greater damage can still be done. Thanks for taking the time to comment. We could probably spend an evening out doing each other with MAS pitch meetings and presentation stories! I don’t know what is going on there at the moment but one thing is for sure, they have no idea about branding or someone is stopping all the good work and allowing this nonsense. Whichever one it is, someone needs to get on top of it. 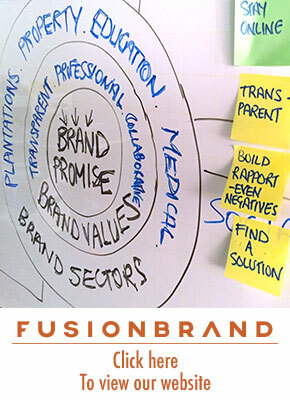 From my own experience it was simply a lack of clarity, without actionable objectives for the brand long term. Even when given solutions, there was simply too many variables with opposing agendas. Now I’ve actually booked 3 tickets home on MAS, because irregardless of the public perception of the tragedies, I’ve generally found the inflight service to be of a good standard. This coupled with the current promotions allows me to buy nearly 3 tickets at Christmas time for the equivalent of 1 on a competing top tier airline, but “budget” is not where they want to be for a national carrier. At this time, the last thing they need is branding. They need to fill up seats for revenue so I don’t see any issues with the ads to be honest. As for the grammar, you’re forgetting one major rule in advertising: grammar doesn’t matter. Bob, I appreciate you taking the time to read my blog and make a comment. I have a couple of initial responses. 1) You can’t turn a brand on and off when you feel like it. 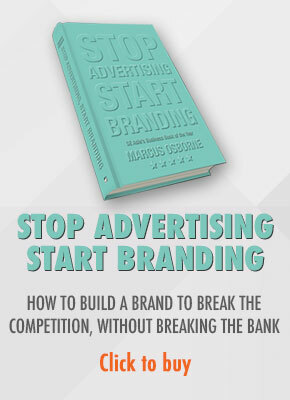 Moreover branding isn’t a tactical activity like advertising that you do. 2) If the goal is to fill up seats for revenue (and that shouldn’t be the goal), even at the cost of long term support and revenue then there may be an argument for a fireside sale but as I’m sure you know this makes it very hard to increase prices later on. 3) The global media is full of images and videos of MAS aircraft delivering coffins with the remains of passengers and crew to Malaysia and MH370 is still missing with 300 passengers and crew and MAS thinks it is appropriate to position itself as a fun carrier and you think that’s alright? I don’t know what to say. 4) Sorry, but in this day and age grammatical mistakes are unacceptable and communicate a sloppy attitude and no airline, especially one in the sort of situation MAS finds itself in wants to be seen as sloppy. 1) Again, at this point in time they really need bums on seats so any form of branding doesn’t really work – they need to get straight to the point. 2) Well that’s for the long term, but they need to focus on the short term so they need to do this now. 3) Yes, I don’t see the issue. People travel for fun, and the experience getting there ensures that you’ll have a great trip (or not). That’s what they’re alluding to, not your own interpretation. 4) Only an issue if you want to make it an issue. 1) With branding comes sales. With discounts sales might come, they might not. If you are selling cereal you will probably sell more cereal if you slash prices. When you are selling tickets on planes, the chances are you won’t increase sales as proven by the hundreds of airlines that have gone bust despite selling tickets at discounted prices before they went under. 2) Negative. They’ve announced they want to save the brand and they are going to invest US$2 billion of tax payers money to try and do this (on top of the US$3 billlion they’ve already spent). US$5 million in sales now are not going to make a difference especially if the cost of those sales is more than the revenue. 3) I’ve flown MAS 25 times since MH370 went missing and none of those flights were fun. Anecdotal evidence suggests most people flying MAS at the moment are not having fun. Mr Andrew, thanks for commenting. May I direct you here https://brandconsultantasia.com/2012/03/09/can-malaysia-airlines-save-its-brand/ and here https://brandconsultantasia.com/2014/05/28/10-things-to-do-to-save-the-malaysia-airlines-brand/ for some strategic ideas. Tactically I’d focus on adding value wherever I could. And that value would be based on the data I have – data related to peak travel times, dates etc, who travels and when – families or businessmen and for what etc. So for example, instead of offering a business class ticket to London on 23/12 at RM4,800, I’d offer it at a sensible, profitable rate but offer more value ads like free transfers to and from the airport here and in London. I’d also establish some cracking relationships with hotels (related to who travels and why etc) and more but the other ideas are billable. And of course I’d be working very closely with my FFP members and reward those who have supported the airline during this tragic period and not ignoring them. And I would ensure any ads are spell checked. Interesting discussion. Fun really isn’t a word MAS should be using as there is no chance this would ever come across as credible and authentic. Not at this time anyway. In fact, I agree that the airline should be very cautionary about using taglines at all, or simplified advertising messages. These two major incidences together make it far to complex and dangerous. Loyal customers are by far the best group to target in terms of regaining credibility and reputation, because those are the ones who have actually experienced the airline and don’t just know its media representations. Pamper them with little things, why not. Apart from that, cheap long-haul prices will get early adapters and those eager for a good deal back on board. At the moment, MAS should probably position itself as the most convenient carrier to get to Malaysia, a beautiful country..
And about the negative images, I’d want to see MAS executives and government all over that country, apologizing to the grieving families – compassion. Not us vs. them but symbolic actions showing that the airline, together with the country, is grieving (humbleness). Florian, thanks for dropping by and commenting. You raise some good points and I’m glad we agree on the loyal and existing customers although I don’t agree with slashing prices on long haul routes, even though it is getting very competitive on the kangaroo route as the Middle Eastern carriers flex their subsidised muscle. Malaysia doesn’t have a sales problem (it has 10 – 12 million customers) it has a profit problem and slashing prices won’t change that. I dont have access to their customer data (which judging by the emails MAS sends my family and I isn’t very extensive) I’d be keeping prices flat but offering more value – stop off in KL with tours, free transfers, bonus miles, discounts in duty fee shops et etc. After all, it is easier to drop a free night in a hotel than it is to raise prices. Insensitivity of MAS PR to public response is quite true which I have read in some other articles. Pingback: Malaysia Airlines with Another Branding Fail?